The Schottel Group is one of the world’s leading manufacturers of propulsion and steering systems for ships and offshore applications. Founded in 1921, the company develops and manufactures azimuth propulsion and maneuvering systems, complete propulsion systems with power ratings of up to 30 MW and steering systems for vessels of all types. Since the 1950’s, Schottel has propelled inland vessels with Z-drives and individually fitted thruster concepts. The firm’s expertise is well represented by strong pushboats in Brazil, river cruise vessels in Europe and at home on U.S. inland rivers. 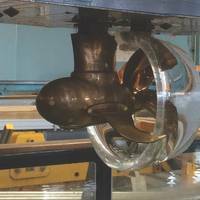 SCHOTTEL, a German manufacturer of marine propulsion systems, has invested a total of €45 million to open a new state-of-the-art Rudderpropeller factory, increasing the company’s production capacity by roughly 30 percent. The factory, near its headquarters in Spay, Germany, was officially opened in the summer of 2015 following a construction period of about two years. 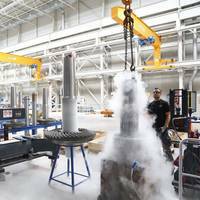 It features four production shops (up to 270 meters long and 18 meters high) and a three-storey building for administration, social and technical purposes. 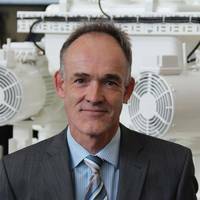 Niels Alexander Lange took over as Managing Director of the recently founded Schottel Hydro GmbH, a subsidiary of the Schottel Group comprising activities in three segments: Schottel Instream Turbines (SIT), semi-submerged Triton platforms and components, such as turbine hubs and drives. Dipl.-Ing. Lange joined the Josef Becker Research Centre of the Schottel Group in 2011. 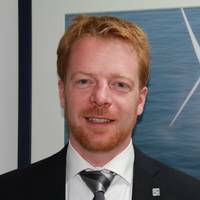 The naval architect brought along his experience as researcher at the Institute for Fluid Dynamics and Ship Theory of the Hamburg University of Technology. CEO Scottel GmbH: Dr.-Ing. The Schottel Group, with its headquarters in Spay/Rhine, is one of the world’s leading manufacturers of propulsion and steering systems for ships and offshore applications. Founded by Josef Becker in 1921, the company develops and manufactures azimuth propulsion and maneuvering systems, complete propulsion systems with power ratings of up to 30 MW and steering systems for vessels of all sizes and types. Schottel has a widespread global presence, with approximately 100 sales and service locations worldwide. Frydenbø Industri AS represents several brands and companies mainly within marine industry, - with central locations in Oslo, Bergen, Ålesund and Øksfjord. The name Frydenbø is a known brand in Norway with activities in three different areas; marine industry (Frydenbø Industri AS), real estate (Frydenbø Eiendom AS) and cars and leisure boats (Frydenbø AS). In order to have a clearer distinction and focus on the sales and service of SCHOTTEL products, the company Frydenbø Power AS will change its name to Frydenbø SCHOTTEL Nordic AS, handling all SCHOTTEL related sales and service activities. SCHOTTEL has acquired 33% of the shares of Frydenbø SCHOTTEL Nordic AS to support this initiative and emphasize the key role of the Norwegian market for the SCHOTTEL Group. SCHOTTEL Inc. USA inaugurates new service location in Houma, La. ; new SCHOTTEL subsidiary sales office in Australia. 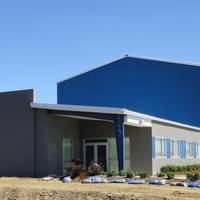 With an inauguration ceremony SCHOTTEL opened new facilities in Houma, Louisiana in October 2013. As an answer to the growing request for new SCHOTTEL propulsion systems and the steadily growing population of drives on the market the German manufacturer moved from St. Rose, La. to new facilities in Houma, La. The new spacious premises offer a large administration area and state of the art service halls equipped with heavy lift cranes especially suitable for large units. 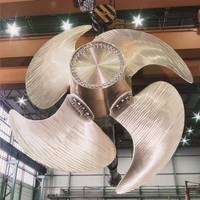 Controllable-pitch propellers have been developed and produced on the Baltic coast of Germany since 1962 – initially in Rostock, and then in Wismar from 1964. The first units were manufactured for 86 freezer-trawlers of type Tropik for the Soviet Union. Four further types were produced for GDR fishery vessels. The first years of controllable-pitch propeller production in Wismar centered on systems with a power rating of 1,930 kW for 199 freezer-trawlers of type Atlantik. A total of 230 controllable-pitch propeller systems were delivered up to the end of 1969. Schottel characterize their new generation of Rudderpropellers (SRP) and Twin Propellers (STP) as 'Compact, modular & performance-optimized'. SRP and STP are available with a variety of reduction ratios to suit all common input speeds regardless of whether they are driven by a diesel engine or an electric motor, and the thruster housing has been optimized using CFD techniques and model tests. The thruster is even more compact than the existing models and is a practically self-contained system requiring only a minimum of mechanical and electrical interfacing. The new thruster series offers a high commonality of parts throughout the different reduction ratios – resulting in enhanced spare parts availability. After the establishment of SCHOTTEL Middle East FZE (SME), a subsidiary of the renowned German company SCHOTTEL GMbH, as the new hub for the Middle East region, SCHOTTEL made a further step to enhance customer service across the region. ATOS International L.L.C. will be the authorized SCHOTTEL Service and Spares provider in the UAE, Bahrain and Oman, working in close cooperation with SME in Dubai. ATOS has a long experience in SCHOTTEL propulsion systems as service agent and with this knowledge and the support of the local SME office, a strong Service network for the region has been created. ATOS service staff will undergo in depth training at the SCHOTTEL facilities. Schottel ended the year 2003 with record sales. With 550 employees worldwide, the company continued the previous year’s trend, achieving sales in the new systems and service sectors totalling 90 million euro (2002: 81 million). Sales for the group were thus increased by 11%, and once again exports accounted for some 80% of the total. The extremely satisfactory volume of incoming orders in the last 12 months, amounting to some 88 million euro, means that 42 million euro of orders are on hand for the year 2004. 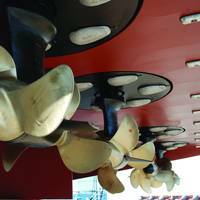 Of particular significance are the latest worldwide sales successes in the areas of tug propulsion systems, offshore supply vessels, cruise ships, research vessels, ferries and military vessels. With effect from March 31, 2007, 15% of the shares in the SCHOTTEL Group have passed from former Chairman Dietrich W. Bork to Frydenbø Industri AS. Frydenbø Power AS, a subsidiary of Frydenbø Industri AS, is a long-standing sales partner of SCHOTTEL in Norway. With the remaining shares in the company being held by the founder’s family, SCHOTTEL has thus found a fitting strategic partner with long-term perspectives. With strong agencies and subsidiaries in all the major shipping centres, SCHOTTEL has always maintained a local presence in the vicinity of its market. The SCHOTTEL Group, based in Spay am Rhein, Germany, ended the 2006 business year with consolidated group sales of about 150 million Euros (2005: 120 million Euros).